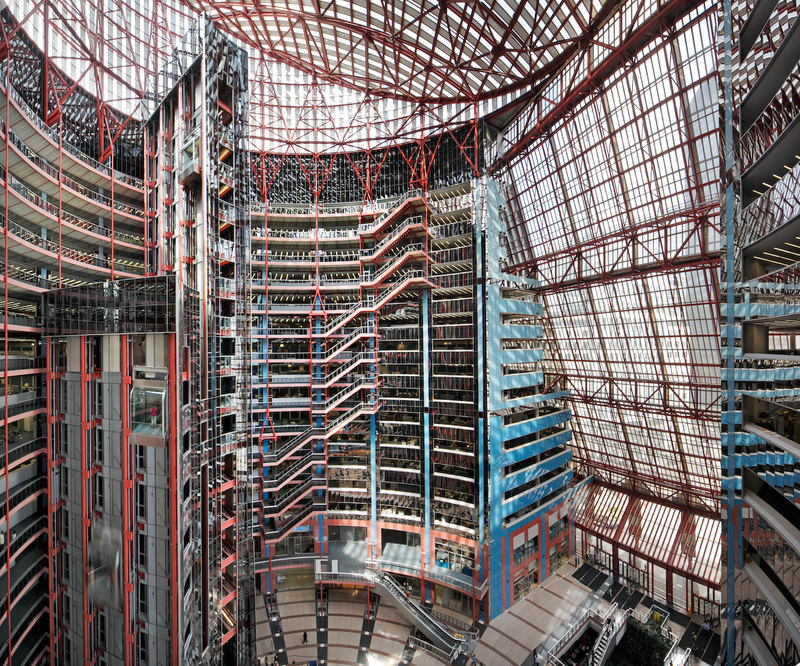 In an act of political wrangling that typifies the relationship between the City of Chicago and the State of Illinois, Illinois Governor Bruce Rauner announced that if the city would allow the sale of the Helmut Jahn–designed James R. Thompson Center, he would provide the Chicago Public Schools (CPS) with additional funding. 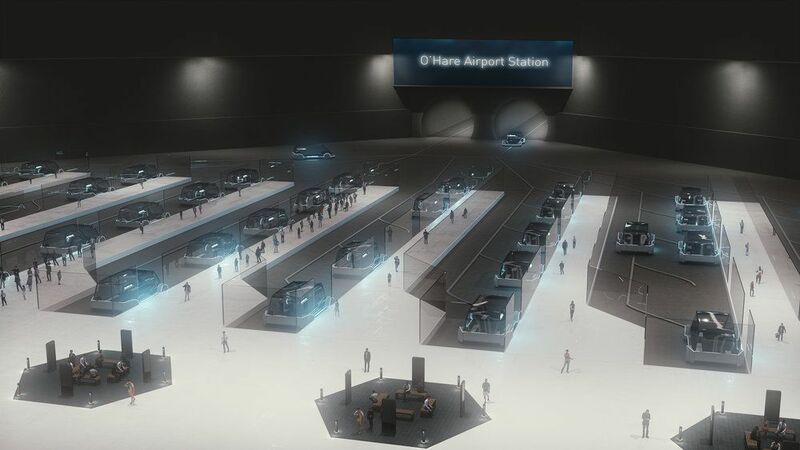 Last week Chicago Mayor Rahm Emanuel said that he would block the sale of the postmodern building out of fear of having to replace the large CTA subway station beneath it. Over the past few years, the city and state have played tug-of-war over funding for the often-beleaguered public school system. In his address, Governor Rauner promised to provide an additional $45 million a year through 2040 if the city permitted the sale of the building. It was only a few months ago that Rauner has vetoed a bill that would have provided $215 million to CPS’s pension fund. The battle over the Thompson Center officially began back in October 2015, when Rauner announced his intention to sell the building. 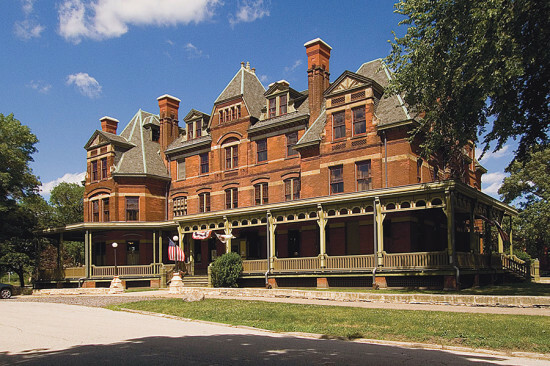 He called the building “ineffective,” and “just not useable for much of anything.” The building is facing a deferred maintenance bill of over $100 million and costs the state roughly $12 million a year to operate. Despite that cost, the building contains one of the largest interior public civic spaces in the city, and many fear selling the building to a private developer would be a major loss for the city. 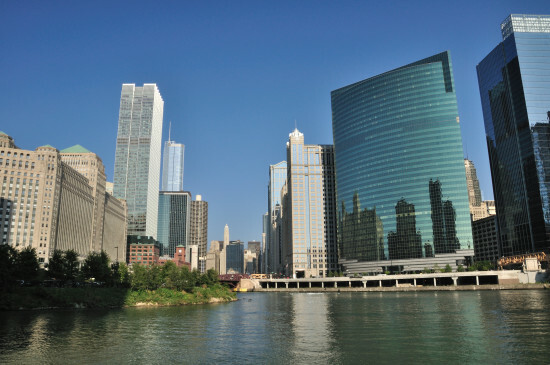 Chicago Mayor Rahm Emanuel has proposed an initiative aimed at driving neighborhood development by leveraging downtown development with Neighborhood Opportunity Bonuses. These bonuses would exchange added square footage for funds that would be invested in business development in struggling neighborhoods. The proposal would reform the current Zoning Bonus Ordinance, which enables additional square footage in downtown development in exchange for public amenities such as public plazas, water features, sidewalk improvements, and affordable housing units. The mayor’s proposal hopes to update the current system by “eliminating outdated bonuses, closing loopholes and establishing a new funding source for economic development projects in underserved neighborhoods.” The mayor’s office claims the updated ordinance could produce tens of millions of dollars over the next several years. Neighborhoods named in the mayor’s announcement as examples that could benefit from the initiative include Greater Englewood, Auburn Gresham, and Garfield Park. 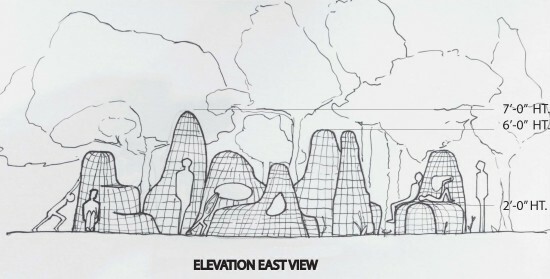 Examples given of what the funds could be used for include “reviving a commercial retail corridor or bringing a new grocery store to a food desert.” “The new system would directly extend the benefits of a strong downtown to neighborhoods with unrealized potential,” David L. Reifman, commissioner of the Department of Planning and Development said in the initiative's press release. 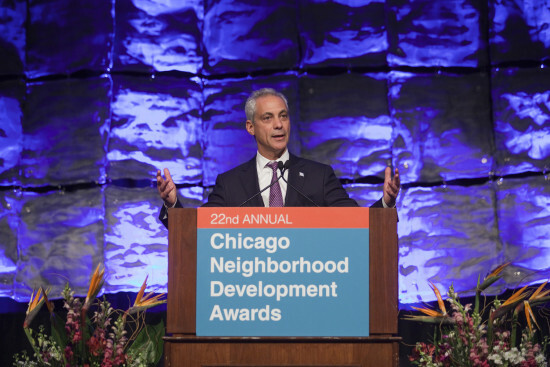 Mayor Emanuel announced the initiative at the Chicago Neighborhood Development Awards (CNDA) to an audience of neighborhood advocates, developers, and architects. “One developer’s density bonus will not become another struggling neighborhoods economic opportunity, he said. “The whole goal is not to pit one part of our city against another, but to see those that are seeking density bonuses, and want to build taller, we’ll work with you. But means with that opportunity there are funds we are going to see, so when a neighborhood gets housing, there will be a grocery store. When another developer wants to build a hotel, apartment buildings, or condos, or an office building, that becomes in that neighborhood an opportunity for retail portion that have not seen.” As with how current zoning bonuses function in the city, projects will work through their aldermen and the city council for approval. The funds will be distributed through “an open process for development proposals,” with will work with residents and stakeholders. 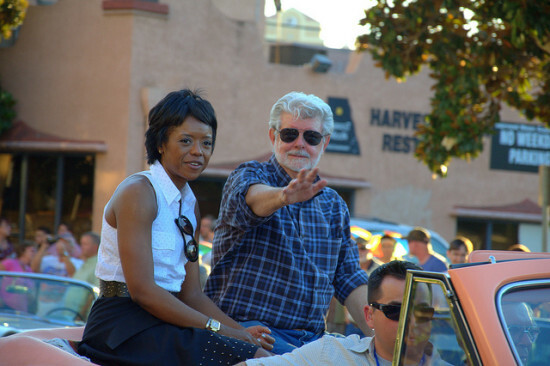 The allocated money will be outlined, with information of supported projects, in a public report provided annually to the City Council. The proposed initiative will be reviewed for approval by the City Council in the spring. 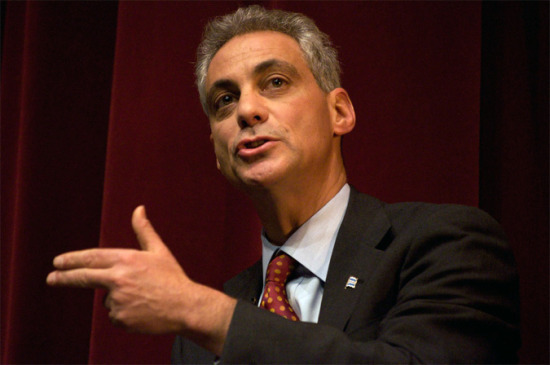 You don’t often hear Mayor Rahm Emanuel utter these words, so when Rahmbo admitted he “made a mistake” in proposing naming a Near North Side school after Obama, his former boss, we thought it worthwhile to get him on the record here. Earlier this year Emanuel threw $60 million in TIF funding to the planned selective enrollment school, offering up the name apparently without consulting local leaders, including the head of Chicago Public Schools. They didn’t like the idea, as it turns out, probably only a little more than Emanuel didn’t like every local reporter committing his rare self-effacement to print. Mr. Donald Trump has bestowed upon fair Chicago an ode to his own self-worth, spurring an architectural debate that’s pulled in Mayor Rahm Emanuel, Jon Stewart, and plenty more. Grab a bag of popcorn and we’ll catch you up. In June, Trump International Hotel & Tower gained an array of 20-foot-6-inch-tall stainless steel letters spelling T-R-U-M-P, which Curbed called a “big, dumb sign” and Blair Kamin called “as subtle as Godzilla.” Trump didn’t like that, and bashed Kamin as “a lightweight” in the press—Trump, critic of architecture critics! Already reduced in size about 20 percent from its original plans (The Donald makes no small plans), the sign was always part of the 2008 SOM building’s design, although architect Adrian Smith apparently “had nothing to do” with it. 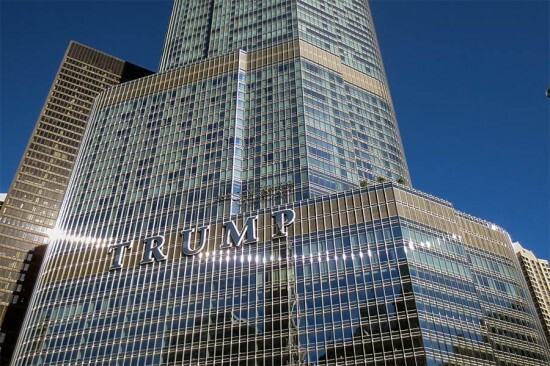 It’s a gaudy bit of self-promotion along Chicago’s most visible strip of real estate, but it’s Trump’s name—not his sign itself—that’s really got us riled up. After all we put up with corporate intrusions on our public field of view all the time. In fact, all this public indignation over design has us hopeful: Let’s rise up and take back our public spaces! Or at least sarcastically Instagram the new sign with its ‘T’ strategically cropped out.